In the Gibraltar Straits, three young men who are determined to make some quick cash build a drug dealing business by shuttling their cargo over the 10 mile gap between Morocco and Europe. Obsessive cop Jesus is on their tail and while constantly closing in on El Nino, El Compi and Halil, he is also out to catch some bigger fish in the sea of narcotic supply. A well dressed man known only as the Englishman has been evading Jesus’ capture for years, but the detective suspects there is a police informer who needs to be rooted out before they can get their man. Daniel Monzon’s follow up to Cell 211 is another big concept, this time pulled off with a much bigger budget but many of the same creative team. A hit on his home turf, El Nino should cement Monzon’s reputation as the primary purveyor of Spanish blockbusters. The film looks a million dollars from its incredible vistas of the bustling ports and container yards of the straits to the thrilling boat and car chases. Despite all the big, noisy fun of the high octane action sequences though, El Nino is still a pretty complex tale of greed, corruption and the dangers of having dealings with dealers. There are a few too many clichés with one soft focus love scene being a particularly low point of the film but the strong performances help carry it through to a thrilling action packed climax. 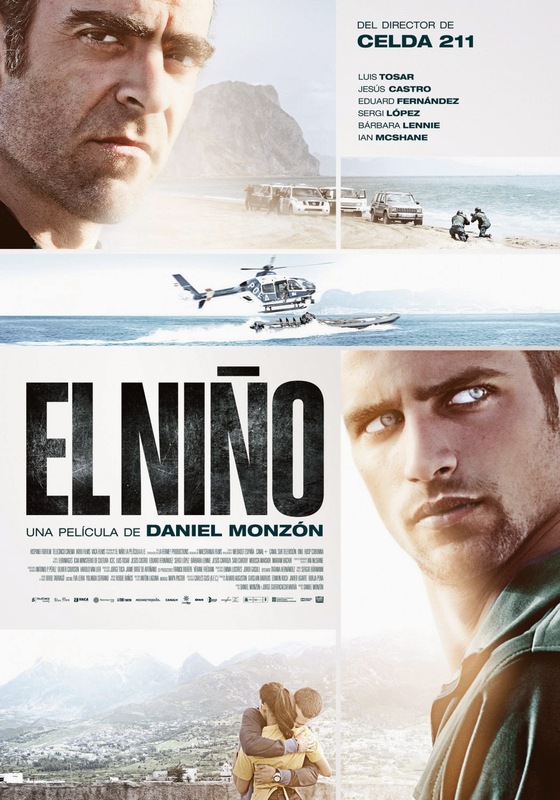 It's got a very attractive young cast who are all sadly overshadowed by Luis Tosar's incredible eyebrows but El Nino supplies a decent dose of action, love, drama and suspense while meandering unnecessarily on its way to eventually ending on a high.